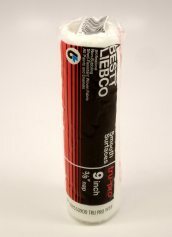 Bestt Liebco Tru Pro roller covers are premium quality applicators for the flooring professional who understands and appreciates the benefit of quicker and better finishing. The 9V01 Roller Cover is made from a salmon colored woven fabric nap on a heavy duty polypropylene core. 9 inch roller cover, 1/4 inch nap. 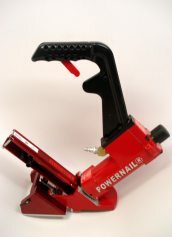 The 9V28 Roller Cover is made from an orange mohair nap on a heavy duty polypropylene core. 9 inch roller cover, 1/4 inch nap. 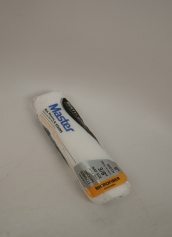 The 9V55 Roller Cover is made from a woven fabric nap on a heavy duty polypropylene core. 9 inch roller cover, 3/8 inch nap. 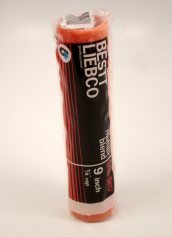 Bestt Liebco Perfect Master Rolelr Covers are made from a high density knitted microfiber fabric for extra productivity and smooth, even release. 9 inch roller cover, 3/8 inch nap. 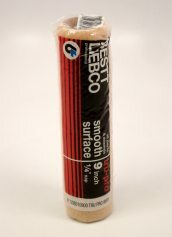 Bestt Leibco Tru Pro roller covers are premium quality applicators for the flooring professional who understands and appreciates the benefit of quicker and better finishing.